Mrs. Semmler supports our team part-time as ZFA (dental assistant). After many years in this profession and training as a ZMF (Dental Specialist Assistant) with a focus on periodontology, she has been working full-time as a lecturer at the Landeszahnärztekammer since 2014. Since 2016 she has also been a lecturer there for the further training of ZMPs (dental prophylaxis assistants) and ZMFs. 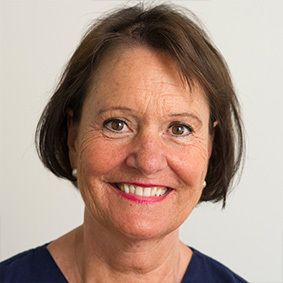 Ms. Semmler brings with her many years of practical professional experience as well as the latest theoretical knowledge in her specialist field and thus contributes to the fact that we are able to offer our patients particularly high-quality treatment. Ms. Semmler finds a balance to her two activities in the fresh air while sailing, skiing, hiking or playing boules and always infects our patients with her enthusiasm!